Are you looking for a nice and warm winter jacket or would you rather have a jacket that you can wear on warmer days? 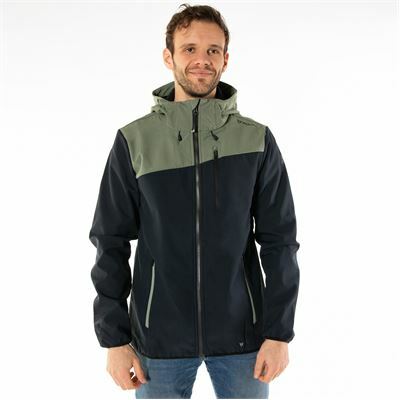 We offer a wide range of beautiful winter jackets for men. From warm winter sports jackets, soft shell jackets and vests to hip summer jackets. Seasons are becoming less and less distinctive. That is why our products are available all year long in all seasons. Besides ski jackets for men, the Brunotti collection also features regular winter coats. These have a sporty look, as can be expected from a sporty brand. The jackets keep you nice and warm on your bike or in your car, due to the thermal padding. 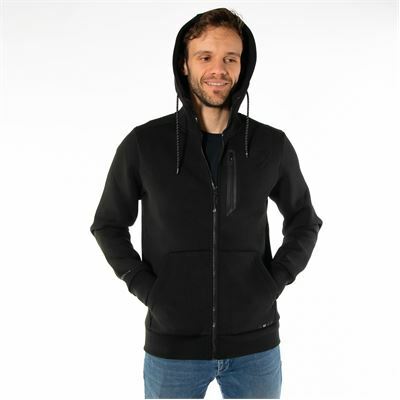 Many of our jackets have hoods and handy slit pockets with zippers. Besides the sporty winter coats, Brunotti also has a couple of fashionable winter coats for men. 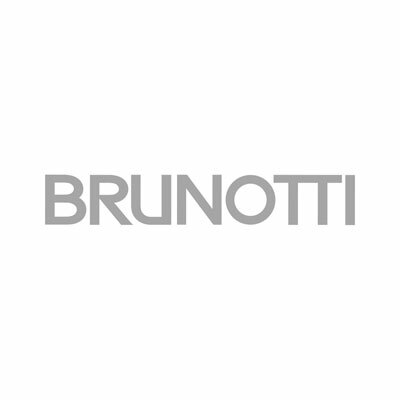 Brunotti is a sports brand and therefore knows exactly what is important in the development of technical ski jackets. Our ski jackets have indispensable details, such as a lamination on the inside of the fabric which makes the Brunotti ski jacket waterproof, snow catchers, adjustable and elastic cuffs, a pocket for your ski pass and all kinds of other useful details. 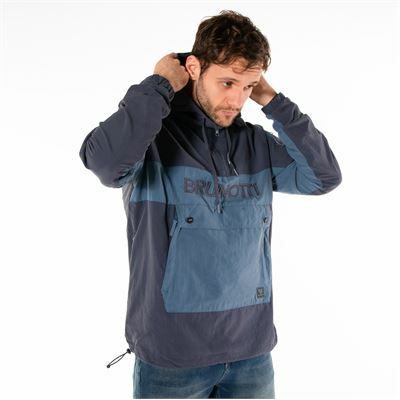 Every product page states exactly the specifications of your favourite Brunotti ski jacket. Of course we also have matching Brunotti ski pants for men in our collection. Brunotti has two different basic fits for ski jackets. This winter the collection features also an anorak model. 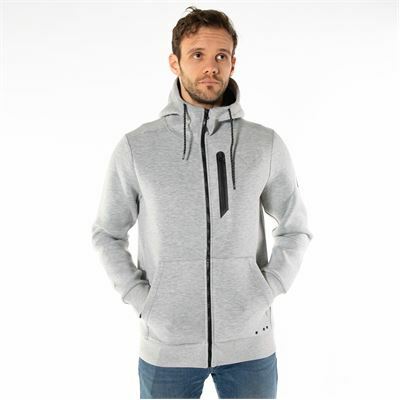 The jacket can be easily put on over the head because of the large zippers at the side and in the neck. The Brunotti "Slim Fit" jackets are fitted and follow the contours of the body. The jackets have a slimmer cut and a tighter look. When they have an elastic band, they're usually hip-length and / or short. 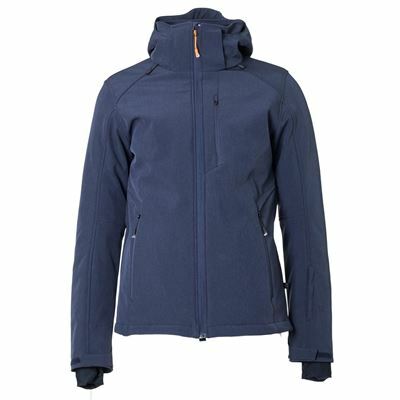 Jackets with a "Regular Fit" have a comfortable fit and are very suitable for sporty use. The "Regular Fit" ensures you can move freely. The jackets come in various lengths. The technical winter jackets are hip-length or longer, making sure the cold and snow stay out. Softshell jackets are perfect for fall season. These jackets do not have any padding; instead, the insides are made of a soft fleece material. Although it's not a raincoat, it can take a slight downpour. They are water-repellent and waterproof up to 3000 mm. What's more, the fabric is able to "breathe" up to 3000g per squared meter over a time span of 24 hours. 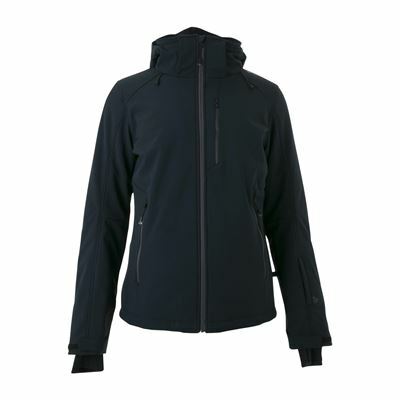 Softshell jackets come with an adjustable hood and bottom. The sleeves are similarly adjustable with calico. In short, the softshell jacket is a must-have for the transitional period between summer and winter, especially when it is not cold enough to wear your winter coat. 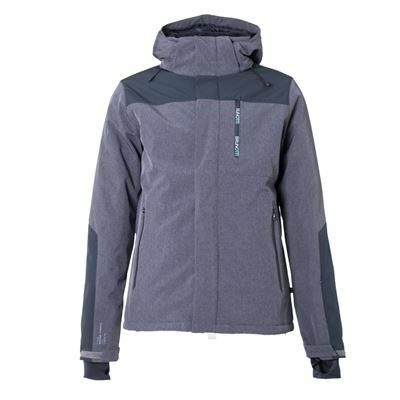 If you are engaged in any active outdoor sports, the softshell jacket can also be worn during the winter. 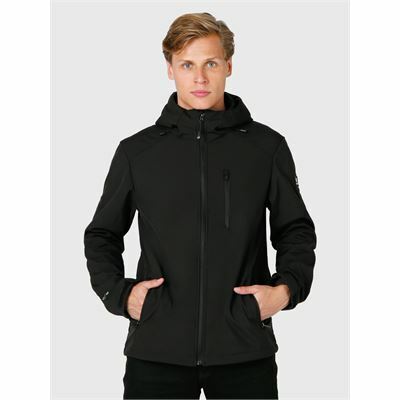 We offer a variety of men's winter jackets in different sizes, colors and prints. It is easy to find matching ski pants to go with your newly found jacket. Our fleece sweaters, sweaters, long sleeved t-shirts, hoodies, socks, ski goggles, sunglasses, ski helmets, ski gloves, scarves and hats are also available in the same colors and prints. Every coat's specifications are indicated by icons at the bottom of the product page. These icons make it easy to assess whether any particular coat would also be suitable as a ski jacket. Our jackets are made of a durable material that protects from rain, snow, wind and cold weather. 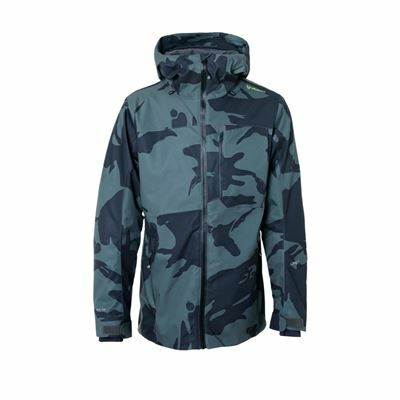 Technically enhanced jackets are made of a fabric that is waterproof or water-repellent, as well as windproof. The extent to which a jacket is waterproof is indicated by a water column. If a jacket has a water column of 5000 mm, for example, this suggests it can withstand up to 5 meters of water pressure! Most of our jackets have multiple pockets to stash your things. 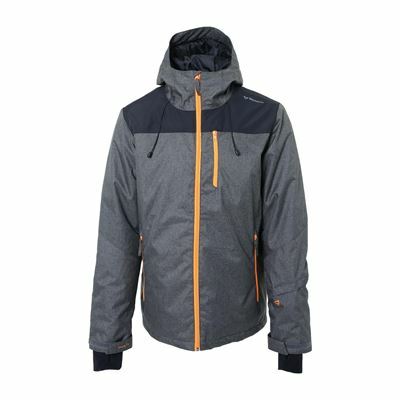 We offer a variety of jackets, all with their own specs and details. These jackets are made with different kinds of fabric, such as cotton, nylon, polyester and wool. 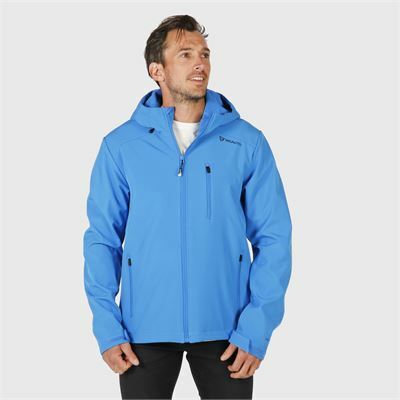 A winter coat used for skiing or snowboarding is a highly technical product. 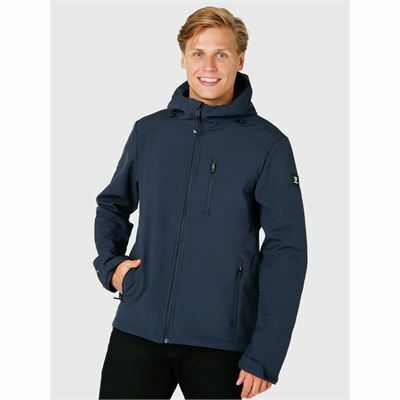 All jackets are made of a durable material that can withstand a water column of 5000 to 20,000 millimeters. At the same time, this kind of material allows to fabric to "breathe," and pulls sweat away from the body. The extent to which the fabric can "breathe" is indicated by the amount of steam that is allowed to escape from the fabric per squared meter over a time span of 24 hours. Technically enhanced winter coats have many functional conveniences, such as zippers in the armpits to create extra ventilation, and a snow catcher on the inside to ward off snow and cold. At our online shop, every coat's technical specifications are indicated by icons at the bottom of the product page. Appropriate ski wear is important when you decide to brave the slopes for the first time. We aim to offer a comprehensive collection, so that there is always another product that matches your purchase in style or color. Our fleece sweaters always come in different colors, for example, which makes it easy to match them with your ski jacket or pants. Most of the time you will be able to find a matching long sleeved t-shirt, knit sweater, t-shirt or sweatshirt. The same goes for accessories, so that your ski helmet, ski goggles or sunglasses are sure to go with your outfit as well. Ski goggles or sunglasses are indispensable when taking a winter sports vacation. 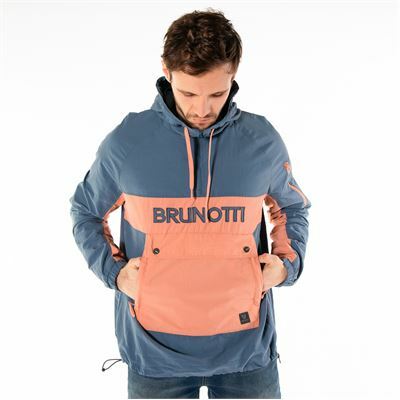 Brunotti's winter sports apparel is both trendy and functional. We also offer a wide collection of backpacks, trolleys, and bags. On our sales page you will always find some clothing offered at a reduced price. When you are shopping online you have all the product information at your finger tips, and it is easy to compare different products. You can readily see whether the coat you like is also suitable as a ski jacket, and whether or not it is technologically enhanced. Jackets for men are often endowed with fun little extras such as an inside pocket for your mp3-player. The biggest collection of Brunotti's men's jackets is offered at Brunotti.com. Take your time exploring our collections. 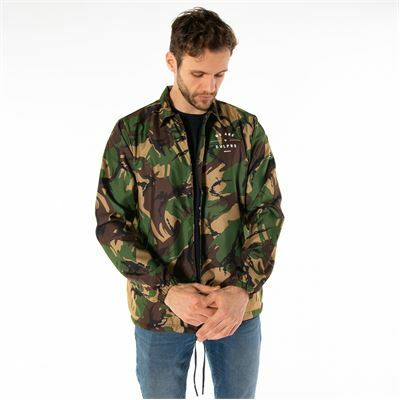 Availability is indicated on our web site, so you will know right away whether or not the jacket of your choice is in stock. Placing an order is easy, and anything can be purchased securely by paying with iDeal, PayPal, Visa, Mastercard or through authorized payment. If, in the end, you are dissatisfied with your purchase, you can return the item in the original packaging, free of charge. You will have the choice between exchanging the article, or receiving a refund.